Do you aspire to work in radio or TV in front of the camera as a news presenter, reporter or foreign correspondent or want to work behind the scenes as a producer, editor or researcher? 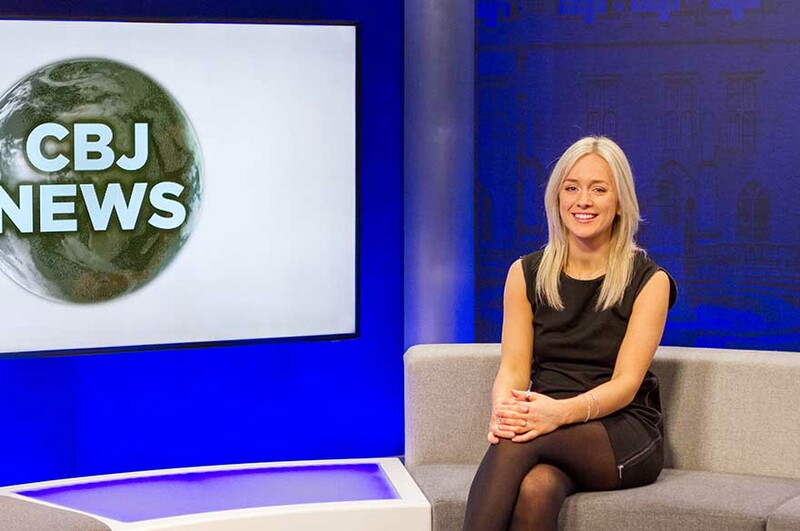 NTU can help you become a successful broadcast journalist employing a diverse range of personal and professional skills. As well as having excellent communication and presentation skills, you'll be a project manager, creative writer, researcher and technical expert. This is a vocational degree that combines practical training and professional work placements, with a solid academic base. 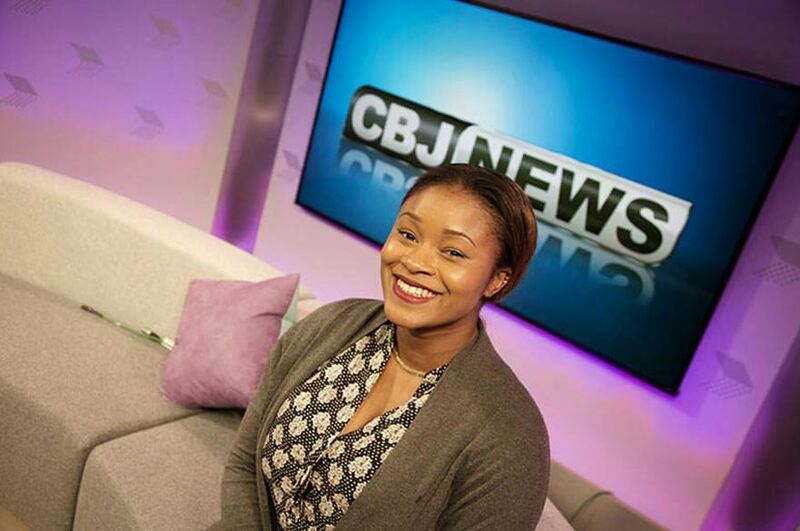 You’ll be situated in purpose built facilities in the Centre for Broadcasting & Journalism, where you’ll not only learn the skills needed to work in a broadcast newsroom, but also have the opportunity to contribute to news programmes and website content for local television station, Notts TV. 100% of our students would recommend this course at NTU (NSS 2018). Ranked 12th in the Guardian League Tables 2018 for journalism, publishing and public relations. 98% of our broadcast journalism undergraduates are in work or further study within just six months of finishing their degree (DHLE 2016-17). In the UK’s Top 20 for student satisfaction (NSS 2018). The course has been developed in close association with major media organisations and is accredited by the Broadcast Journalism Training Council (BJTC). This is our guarantee that the course offers innovative and relevant education and training that is highly prized by employers in radio and television. This course is eligible for The BAFTA Scholarship Programme for UK students. Successful applicants receive up to £12,000 towards tuition fees, mentoring by industry professionals and free access to BAFTA events. Find out more and apply here before Tuesday 28 May: www.bafta.org/supporting-talent/scholarships. 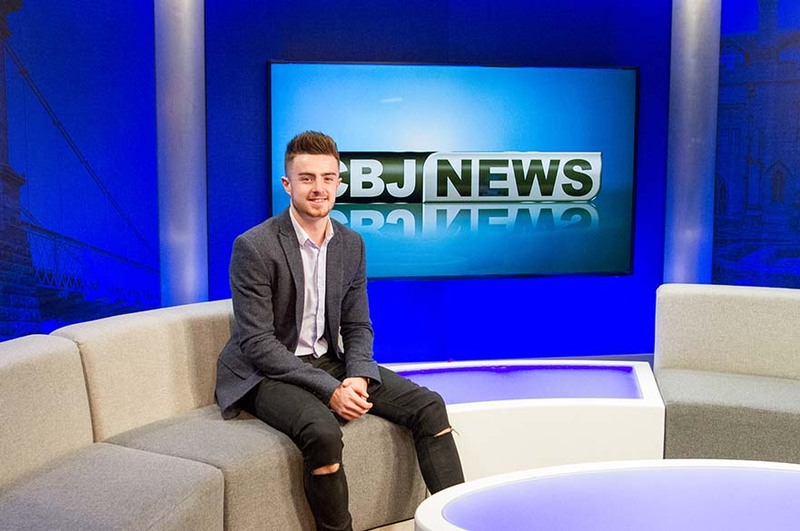 Our journalism students, graduates and staff explain the reasons why NTU’s Centre for Broadcasting & Journalism is the best place to begin your career in journalism. You’ll develop your practical skills in radio, television and online across all three years. 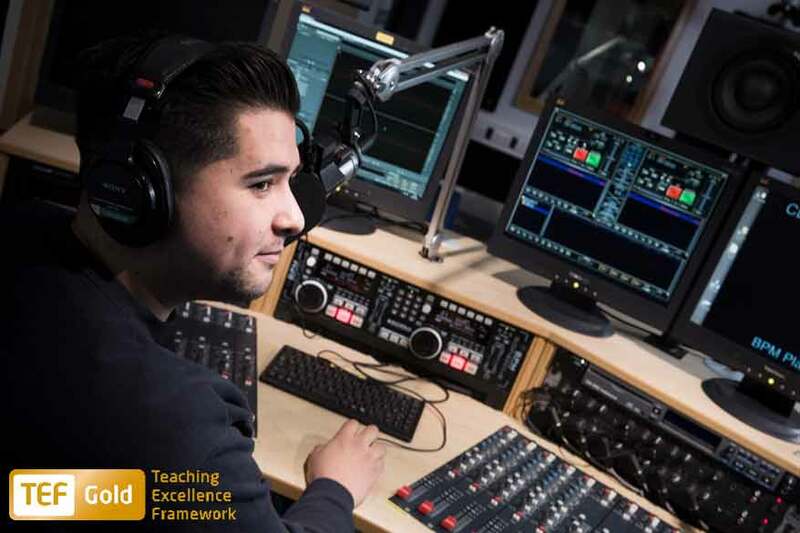 Teaching and learning activities include writing for broadcast, research, interviewing, radio and television recording and editing and news reading. You’ll also spend a considerable time learning the skills necessary to be able to use broadcast equipment and IT systems. You’ll take part in in mock news-day activities which simulate the real world. These take place on a weekly basis at key stages during your course of study and also as a rolling week of news day activity. Staff act as consultant editors, as do representatives from industry. Roles on news days are rotated and cover: news reading, presenting, reporting, television gallery roles and editing. In the second year you’ll also produce material for our online blog NottsNewsLive. You'll learn how to write for online, operate as a mobile journalist, conduct interviews for radio and television, record and edit material for radio and television news output, and how to use social media to gather and disseminate news. Develop a theoretical and critical understanding of the practices and processes of newspapers, magazines, radio, television and online journalism. You'll consider the relationship between society and media industries and investigate the ways that both influence each other. Study the English legal system, courts, reporting restrictions and contempt, along with an introduction to court reporting. As part of the module you will also visit different courts to produce news reports from the proceedings. This module will give you an understanding of some of the legal rules which control broadcast media coverage of news stories as they break. This module provides you with the knowledge to examine and analyse the impact of social media on the news industry as well as wider society, and introduces you to the tools and practices used by journalists to research and disseminate news across social media platforms. Examine the structure of the British political system, how it works, and how different branches interact. This module will give you a solid understanding of the basic features and operation of both central and local government. 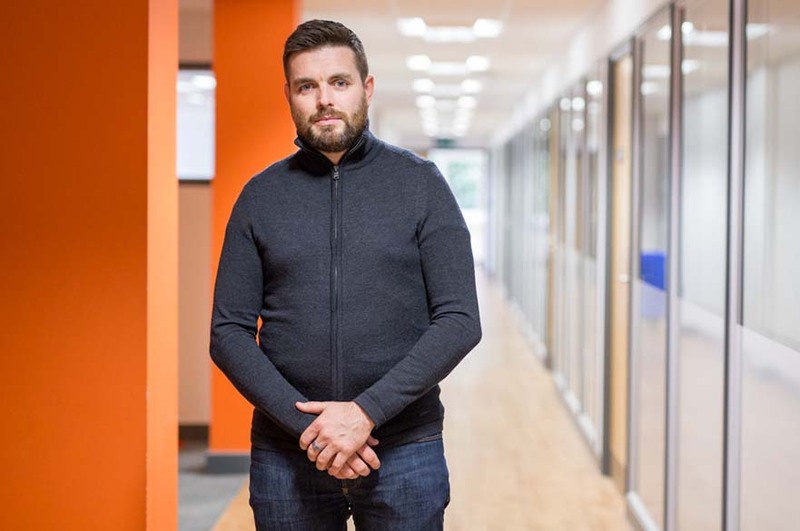 You'll also learn where to find information and interviewees on political stories and need to recognise current newsworthy issues relating to local and central government. Learn more advanced editing and production skills, make news packages for radio and television, and gain training in producing material for use online. 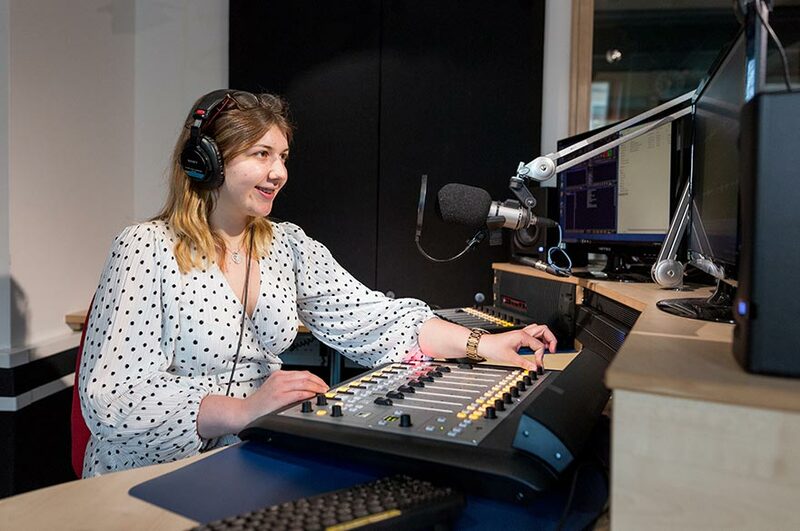 Throughout the module you’ll be working in teams to replicate industry practice in radio, television and online news, and produce work of a high journalistic standard. This module introduces you to a number of important areas of law which has particular relevance to those involved in the media. You'll develop an understanding of many legal provisions which effect the day-to-day activities of a working journalist. These include defamation, contempt, copyright, elections and sexual offences. This module explores a range of ethical dilemmas, with a view to facilitating a responsible awareness of the role of the journalist in society. You will gain an insight into the key concepts regarding the production and practice of journalism. You will also develop a critical awareness of discourses pertaining to the changing form and functions of contemporary journalism within society. Looks at ethical issues and current controversies, such as fake news, propaganda, political partisanship, through the relationship between journalism and politics and its impact on past and current events. This module develops a theoretical and critical understanding of the role of sport in contemporary society and how the media covers it. You'll study the links between national, regional, local identity and sport, reflecting on how the media shapes that identity. Explore key aspects of this industry through lectures, student presentations and visiting speakers. Gain an appreciation of the journalism industry from an international and global perspective in terms of both contemporary realities and theoretical concepts. The module features a range of visiting speakers including practising journalists with experience of working across the world in different cultures and political regimes. 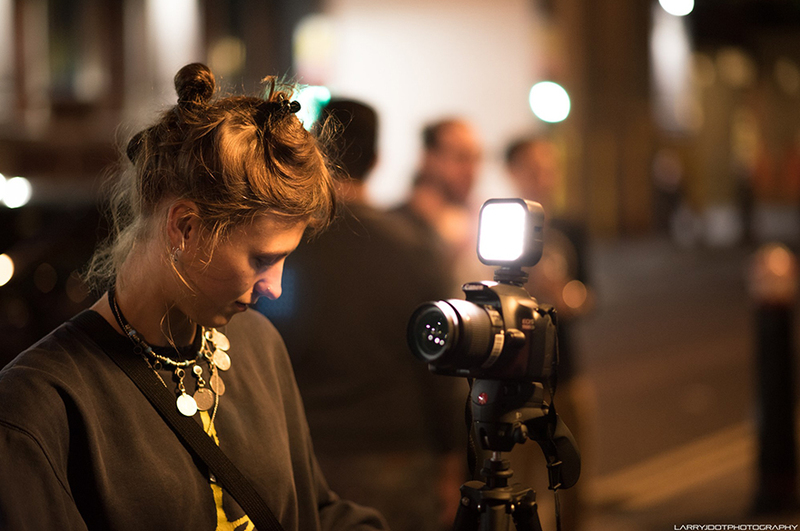 Alongside lectures and workshops, you'll investigate the work and practice of journalists across the world through special screenings and discussions. This module enables you to demonstrate skills, knowledge and understanding of the theory and practice of stills photography. You'll gain practical skills in image capture on still digital formats and the transmission of stills You'll be competent in producing stills for publication and demonstrate the ability to write clear and accurate captions and news stories.You'll understand photographic practice and media law and ethics relating to the publication of images from both professional photographers, citizen journalists and other external sources in newspapers, magazines and on related websites and social media. This module introduces you to fashion journalism in the UK. You'll examine the history of fashion journalism to demonstrate how it reflects societal norms through its use of images, lay-out, colours, and models. You'll critically evaluate the design of magazines, and explore how magazines target particular audiences, and how those audiences have changed over time. You will explore how fashion has become more mainstream and how this connects to wider society. You'll gain an understanding of the role of a fashion journalist in designing themes for their work, including organising and briefing photographers for shoots, and selecting models for features. You will also explore how social media and blogs have impacted the fashion business and in particular fashion journalism. You'll participate in weekly newsdays to produce content for hourly radio news bulletins and daily TV news programmes. You'll continue to learn about bulletin and programme construction through these real-world newsdays, and will take part in as-live and live broadcasting and presenting. You'll produce a radio or TV documentary, on an issue or subject of your choice, showcasing the wide range of skills you have gained over the three years of the course. Features made for this module have also gone on to win national journalism and student journalism awards sponsored by organisations such as the RTS, BJTC, Midlands Media, Student Radio Awards, Nottingham’s International Soroptimist Society, and Amnesty International. You'll apply and critically evaluate the new and emerging tools and processes used in researching and producing news content through statistical analysis and data, as required by employers and our professional accrediting body the BJTC. Examines further aspects of media law and ethical journalism the analysis of case studies and issues including Freedom of Information, official secrets, protection of sources, and laws governing journalistic content and comment on the Internet. Examines this increasingly important part of the industry and the societal impact of celebrity culture through lectures and student presentations. Enables you to demonstrate a working knowledge of PR in the private, public and voluntary sectors and use professional techniques and tools to produce a basic PR campaign. We also offer this alternative route of study to selected third year students. This involves being attached to NottsTV, one of a number of hyper-local television stations licensed by Ofcom across the UK, and working as an intern within the station’s professional newsroom throughout your final year. As this is a highly vocational course, half of your time will be spent carrying out practical tasks including TV, radio and online news production, news days, presentations, live team projects and visits. The other half of your time will be spent in academic study, including lectures and briefings, seminars and tutorials. You’ll also be involved in independent project work where you’ll have the support of NOW, or virtual learning environment. Each module is assessed separately and involves practical assessments such as essays, project work, competency portfolios, placements, presentations and skills assessments. You’ll also be assessed through formal examinations and class tests. Over the three years, you’ll gradually increase your study skills, production and presentation techniques. 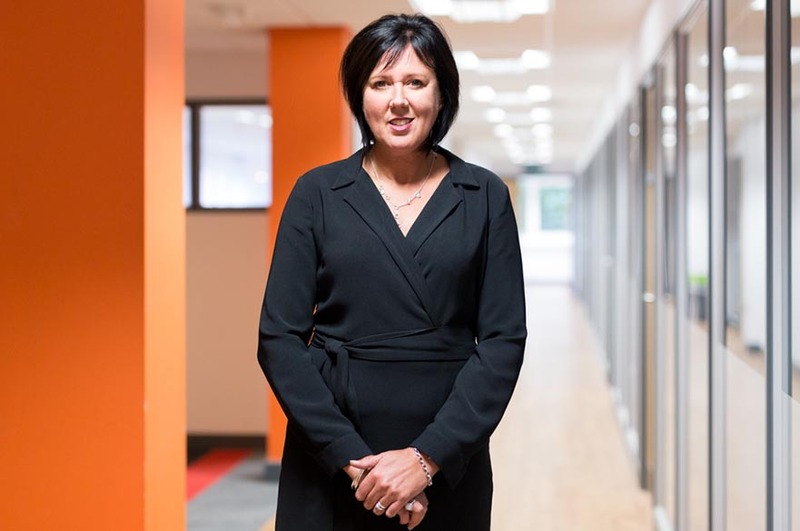 The marks that count towards the degree also increase year-by-year, so that assessment is matched fairly with the expected rate of your learning throughout the three year course. 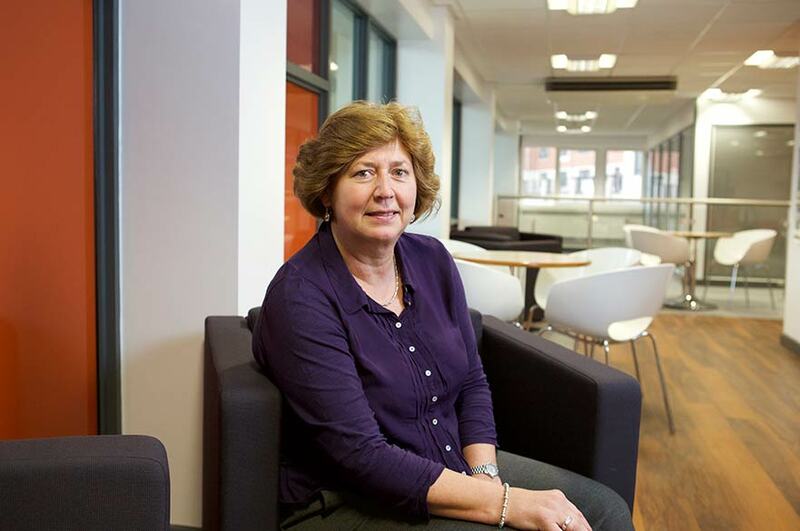 You’ll receive feedback throughout the module so you know what level you are working at. Our journalism team is made up of expert academic and technical staff that have extensive experience in education and industry. These, together with visiting professionals, provide a rounded, up-to-date education, informed by current practice and industry developments. You’ll also benefit from the extensive knowledge and experience brought to us by prestigious visiting lecturers, who have included: Jon Snow of ITN's Channel 4 News, BBC correspondents James Reynolds and Richard Bilton, Sunday Telegraph Editor Ian MacGregor and NTU's former Chancellor Sir Michael Parkinson. You’re expected to undertake a total of three weeks' of placements in radio and / or television newsrooms, normally during holiday times. Recent students have gone on a placement within the following companies: BBC Radio Nottingham, Sky Sports and Central TV. You’ll be supported to find a placement with access to a database containing a wide range of contacts for potential work placements, live project opportunities with placements and prizes awarded by companies for successful projects. The Broadcasting and Journalism Industry Consortium, a network of regional and national media organisations, supports the broadcasting and journalism courses at NTU. You’ll also benefit from final year students and graduates sharing experiences of their own work placement experiences with you. They’ll make recommendations about how best to approach companies and get the most from your experience. You’ll also be able to attend sessions to help you to develop your CV and identify possible work experience opportunities. You’ll also have the option to take part in an international exchange at a partner university. Or you could source work placements abroad. These options will enable you to gain impressive international experience, and broaden your perspective and career ambitions. You’ll experience other cultures, travel the globe and open your eyes to a world of opportunities. Our exchange partnership with a number of international universities enables you to live and study in another country in your second year. Learning a new language can enhance your communication skills, enrich your experience when travelling abroad and boost your career prospects.Find out more about the University Language Programme. Recent graduates from this course have gone on to work for companies including: BBC, ITN, Sky News, Channel 5 News, BBC Five Live, BBC Asian Network, BAFTA, Gem 106, BBC Radio Nottingham, Free Radio Birmingham and BBC Midlands Today. As well as careers in journalism, graduates have also gone on to work in PR, marketing and advertising. Many graduates have joined or started local enterprises to undertake journalism, creative or media related activities. 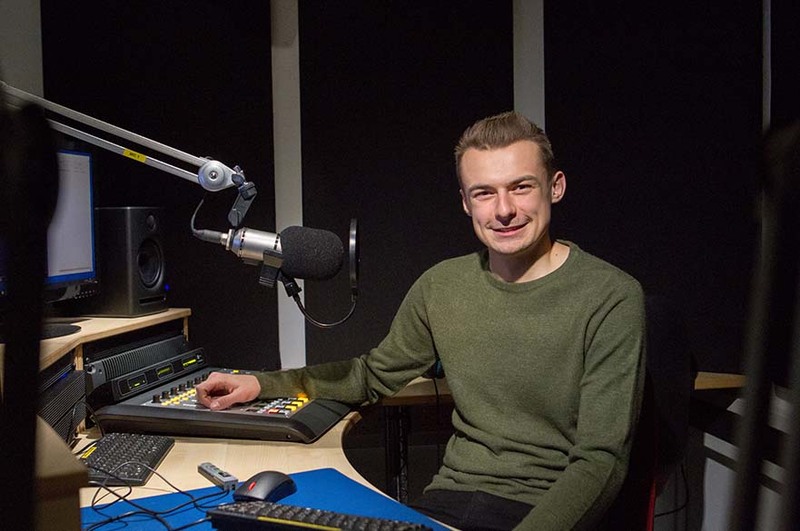 A big congratulations to alumna Jack Saunders who started his new Radio 1 show in September! 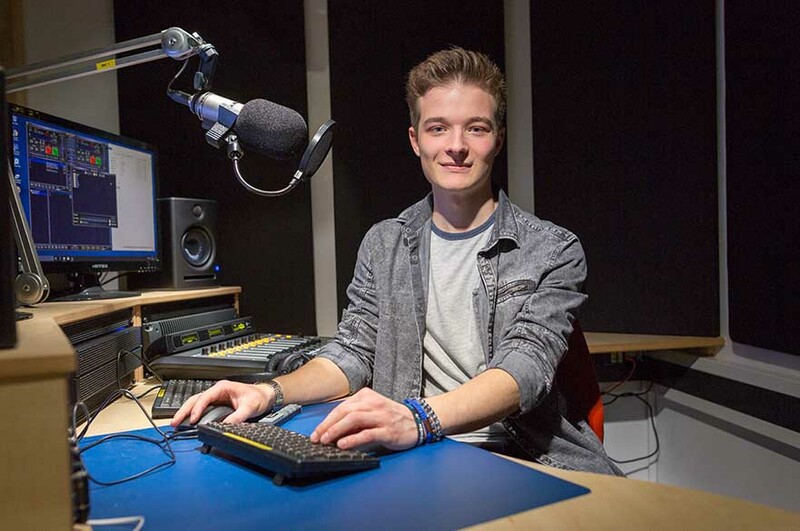 Jack graduated from BA (Hons) Broadcast Journalism in 2014 and was Station Manager at Fly FM during his time here. Read all about it at UK Student Radio Association. 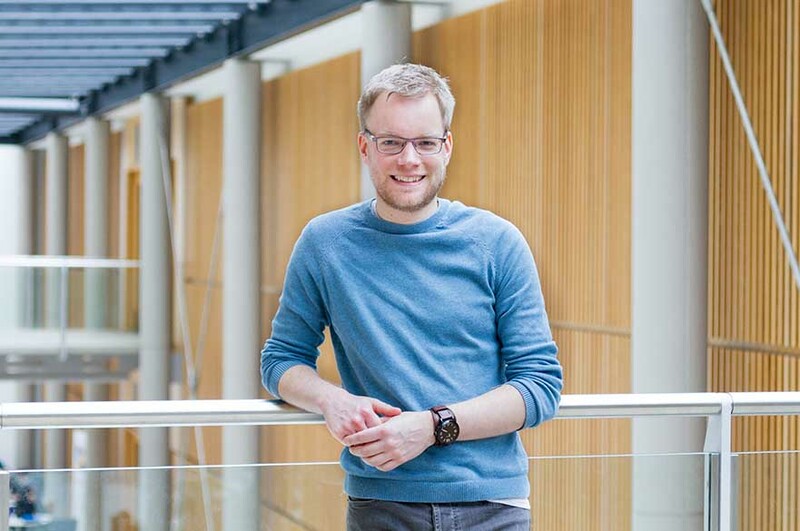 Cameron Walker, BA (Hons) Broadcast Journalism graduate, is one of just twelve graduates in the UK who has been selected for the ITV trainee scheme. Find out more. You will also need GCSE English and Maths grade C / 4. Ready to join us? Then apply as soon as you can. Just click the Apply button at the top of the page and follow our step-by-step guide. Make sure you check the entry requirements above carefully before you do. Please visit the Journalism Diversity Fund website to view what funding opportunities are available.